Here is a tutorial with pictures showing how to set proxy for your browsers (Internet Explorer, Google Chrome and Mozilla Firefox) step by step. It’s similar to set proxy for other browsers such as safari and opera. 2) Click the Connections tab and then LAN Settings. 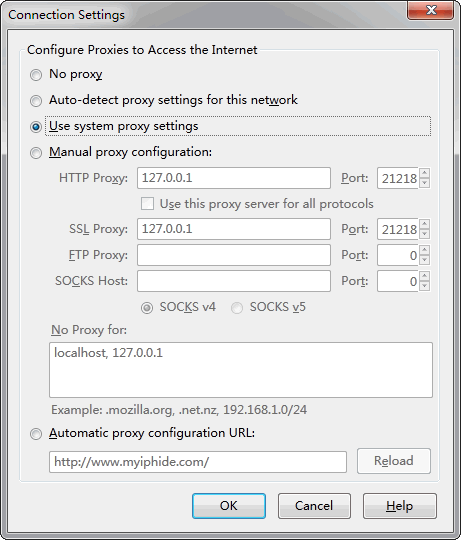 Google Chrome uses the system proxy settings. That is, it uses the same proxy as IE. So you can use the same method as IE to set proxy for Chrome. You can also click the Chrome menu Setting -> Under the Hood -> Network -> Changing proxy settings. It will popup the same proxy setting dialog as IE. 2) Click the Advanced -> Network -> Settings. 3) Select Manual proxy configuration and fill in the proxy IP and port. However, it’s a good choice to use system proxy settings in most cases. If you need to change proxy frequently, it will be boring to do the repetitive things. Elite Proxy Switcher is a good tool to help you. Double click the proxy in the list and that’s all. Elite Proxy Switcher will do all the work above for you, both for Firefox and IE. You can get some free proxies from our forum or proxy list. Please test the proxies by Elite Proxy Switcher before using them because proxies die fast. After setting the proxy, you can surf http://www.find-ip.net to check whether your IP is changed.